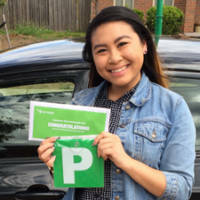 Having a genuine passion for our work providing driving lessons in Werribee and Point Cook area has given us a proud reputation unrivalled by most of our competitors in the western suburbs of Melbourne. Whether it's your first time in the driver's seat or preparing to pass your Vicroads on-road test, learning to drive a car doesn't have to be complicated or intimidating. Our driving instructors know that providing a relaxed and supportive environment is the easiest way to help you build safe driving skills and confidence in the fastest possible time . By understanding your learning style we keep things simple and help you reach your goals sooner without taking shortcuts. Enjoy an affordable service that focuses on tasks that benefit you the most so every driving lesson becomes much more productive. Our experienced driving instructors in Werribee and Point Cook are regularly coaching new drivers of all levels of experience. Enjoy the benefits of flexible on-road training that is delivered to suit your level of confidence and driving ability. There are no surprises in our relaxed and stress free learning environment . Be guided you through the whole process of adjusting your seat and basic observation skills in the first lesson all the way through to perfecting the reverse parallel park and getting ready for your licence test. Every learner has different needs so every lesson is different. We focus on areas that you will get the most benefit from. This helps you make more progress than by following a generic drivers education program that is not suited specifically to your needs. Start your journey to independent driving with the right mentoring and support from your very first lesson. By being patient and encouraging our learners become more confident and safer drivers sooner. We focus on key areas of your driving that bring results and you can enjoy the long-term benefits. Taking shortcuts with your driving test preparation often leads to disappointment. Let our expert driving instructor guide you through the whole process and avoid unexpected surprises. With our help you will drive at a higher standard than the drive test criteria to give you the best opportunity of a first time pass. Take the hassle out of getting your Aussie full licence. Our highly experienced instructors are regularly helping people from all parts of the world to convert their licences so you can be sure you are in safe hands. With a solid understanding of our road rules and testing process you will be driving like a local in no time. Have you had a break from learning to drive or are you low on confidence? If you’ve done some driving in the past you’ll be surprised how quickly you can build on what you already know. Our personalised tuition is more effective because we focus on the areas that matter the most. 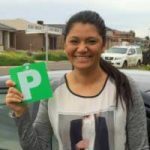 Our friendly instructors are happy to meet at your preferred location for driving lessons in Werribee & Point Cook and all surrounding areas with a selection of times to suit your busy schedule. Reflecting our commitment to your comfort and safety, our late model cars have dual controls, are clean, equipped with working air conditioning and strictly maintained to comply with manufacturers specifications. For further peace of mind all training vehicles have fully comprehensive insurance specially designed to protect learners. We take care of the important details so you can relax and enjoy your driving lessons. We set our standards high and aim to provide the most professional service in Melbourne western suburbs. There are no interruptions during your classes. We never take phone calls in lessons or share your lesson time with another learner in the car. All of our attention is focused on you and making sure you get the most out of your practice. We pride ourselves on our professionalism and are always approachable to ensure your lessons are enjoyable, productive and the greatest value. From first driving lessons through to successful driving tests our instructors have a long list of satisfied customers who have taken their driving to the next level. Get in touch today and take the next step towards the freedom and independence that comes from learning to drive properly.